Certified Suppliers | Scam-Free Guaranteed. Don't Put Your Customers & Your Reputation At Risk. When new sellers are looking for "dropshippers" or "suppliers" or "wholesalers" online they often don't think about the problems that can occur if you accidentally start working with a Scam Supplier. Keep in mind, when you setup an account with Middlemen and Fake Wholesalers you are giving them not only YOUR information but some of your customers personal contact information as well! Fake suppliers can do any number of things with the information you provide them about yourself or your customers. 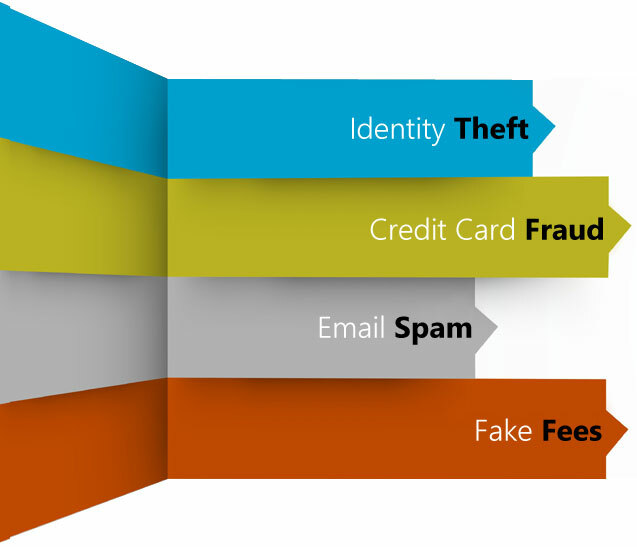 From email phishing scams to identity theft to fake credit card charges, if you unwittingly setup an account with a fake supplier you are putting yourself and your customers at great risk! When you start an online business you should expect to pay some startup costs. However, many new sellers are fooled into thinking that paying money to their Supplier is just part of "starting an online store"...and it's not! A common scam with fake suppliers is to charge 'setup fees', monthly fees, annual fees and all kinds of other fees to new sellers who just don't know any better. You may think you're getting a good deal when in fact you are setting your business up for certain failure. 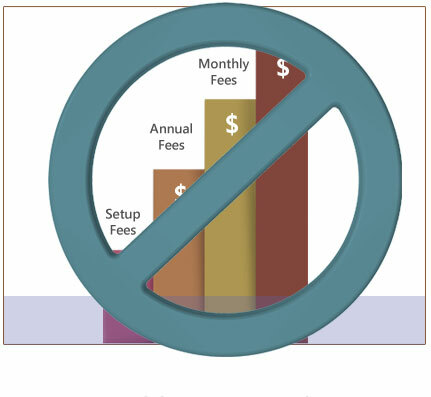 Fake suppliers and middlemen often charge all of those fees because they know you won't be making any sales. With their inflated wholesale prices and often false selection of products they know the only way they are getting any money from you is up front. So they just keep on charging fees until you get tired of it and leave. Since 1999 we have been the Industry Leaders in providing safe, trustworthy & reliable wholesale distributor information to Retailers. 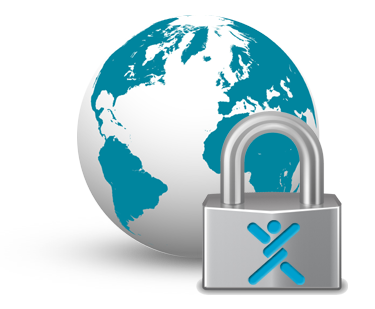 We take great pride in helping keep eCommerce safe with Certified Suppliers. As a Member of Worldwide Brands you never have to worry about wholesale scams, fake suppliers and middlemen. Keep your customers safe and start building a great reputation online! Grow your business with confidence in the knowledge that you are working directly with safe, secure factory-authorized Suppliers. Our WBI Certified Seal guarantees it. We are proud to offer the safest Wholesale Directory for both online sellers and physical retail stores! We make it our personal responsibility to ensure YOU are always working with nothing but the best Wholesale Suppliers. 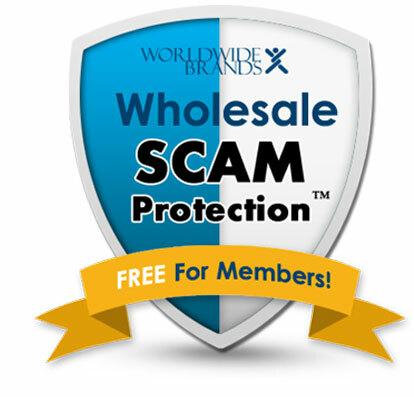 Wholesale Scam Protection™ is the security you get from working with our listed Wholesalers. When you work with a WBI Certified Supplier you get REAL wholesale prices from Factory-Authorized (Top Level) Wholesale Suppliers. Guaranteed. 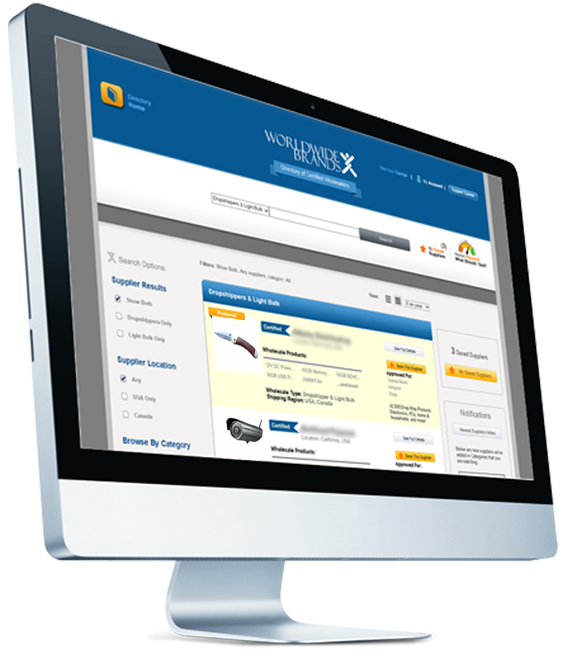 Setting up FREE Wholesale Accounts with WBI Certified Wholesalers is fast, easy and FREE. 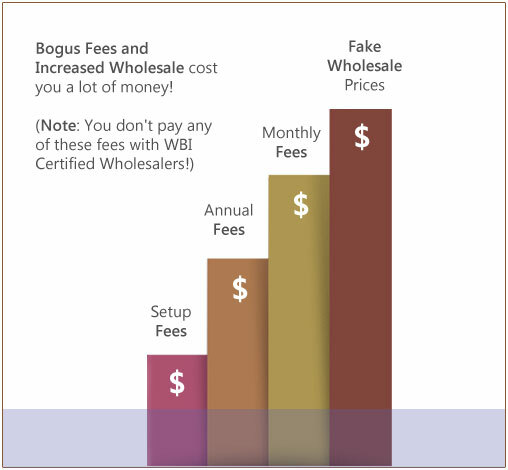 Since we ONLY certify Factory-Authorized Suppliers you are protected against wholesale scams, monthly fees, annual fees, setup fees and other fake fees.